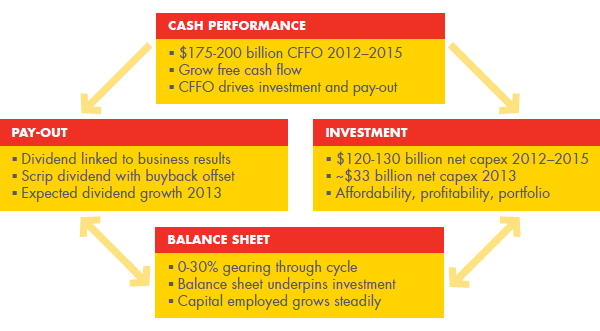 Shell’s strategy is competitive and innovative. We seek to continuously reinforce our position as a leader in the oil and gas industry while helping to meet global energy demand in a responsible way. We aim to create competitive returns for shareholders. Safety, environmental and social responsibility are at the heart of our activities. 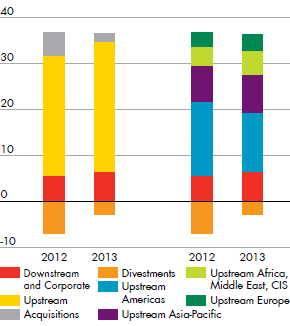 Intense competition exists for access to upstream resources and to new downstream markets. But we believe our technology, project-delivery capability and operational excellence will remain key differentiators for our businesses. In Upstream we focus on exploration for new liquids and natural gas reserves, and on developing major new projects where our technology and know-how add value for the resource holders. 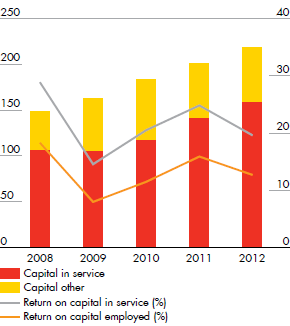 We expect about 80% of our capital investment in 2013 to be in our Upstream businesses. 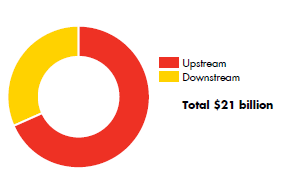 In Downstream, our emphasis remains on sustained cash generation from our existing assets and making selective growth investments. our future opportunities include the Arctic, Iraq, Kazakhstan, Nigeria, and heavy oil, where we believe large reserves positions could potentially become available, with the pace of development driven by market and local operating conditions. Meeting the growing demand for energy worldwide in ways that minimise environmental and social impact is a major challenge for the global energy industry. We aim to improve energy efficiency in our own operations and support customers in managing their energy demands. Our commitment to technology and innovation is at the core of our strategy. 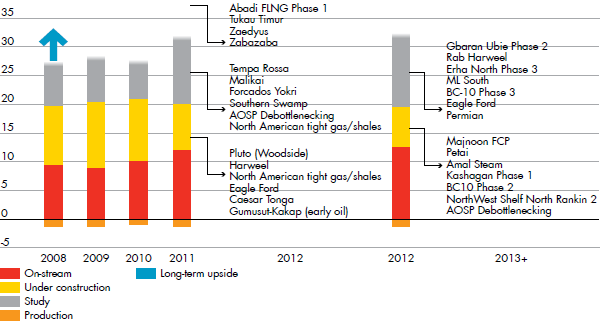 CFFO and capex outlook at $80-100/b Brent and assumes improved US gas and downstream environment from 2012.